Despite being one of the world’s most successful and celebrated interior personalities, there’s something endearingly approachable about Ilse Crawford. (Our love for her is well documented here on Yellowtrace!) Her aesthetic is spirited and welcoming – seeing images of her work makes you want to reach out and touch it, explore the nooks, open the cupboards and touch the surfaces. 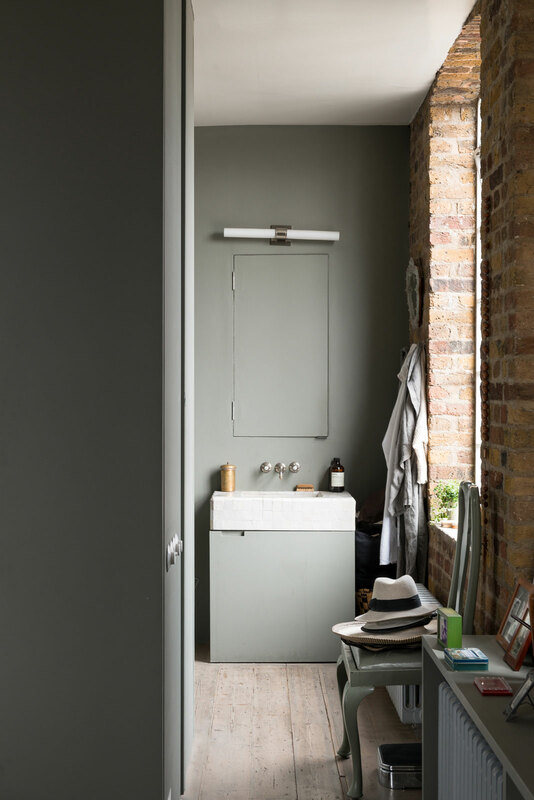 Recently, Crawford’s one bedroom home in London‘s Borough district went on the market, offering a rare opportunity to see inside her private sanctuary so completely – and it has got us feeling pretty handsy. 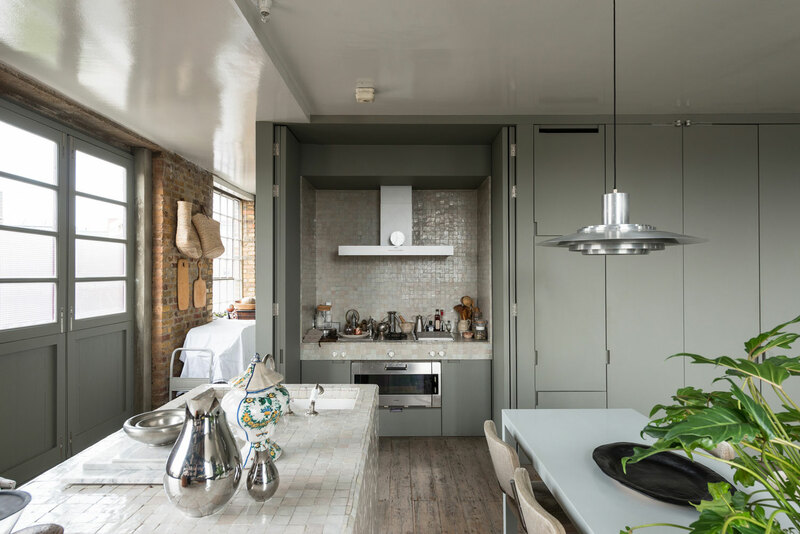 Vincent Van Duysen and devised the ‘frame’ of the converted Victorian warehouse space, but the interiors have evolved over the 15 years Crawford has inhabited the space, in flux with her changing habits, needs and moods. 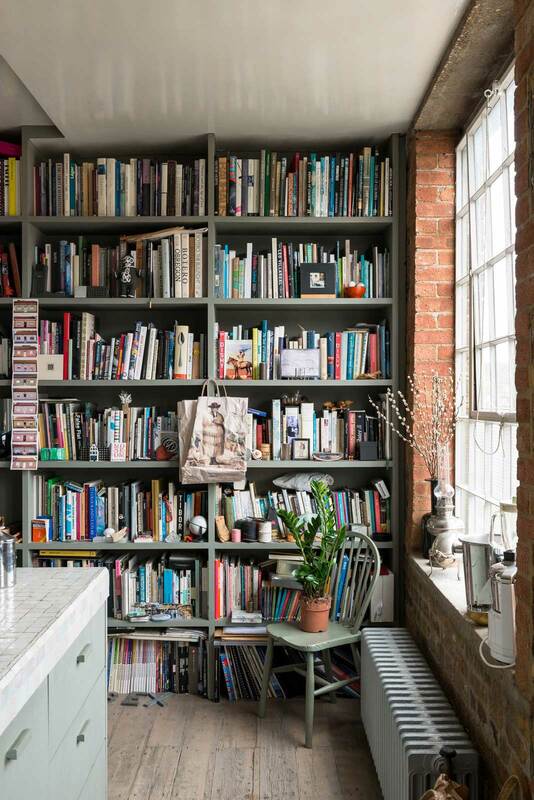 The space is ‘library-like’ in structure, with open floor-to-ceiling shelving lining most of the walls of the open-plan space, piled with books and worldly trinkets. 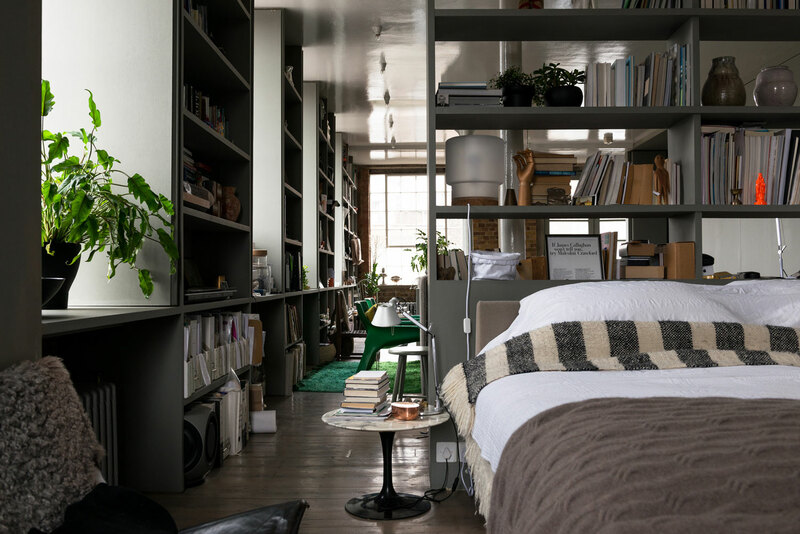 The shelving also acts as a room divider, separating the bedroom from the rest of the open home and simultaneously acting as a backdrop to the bed. 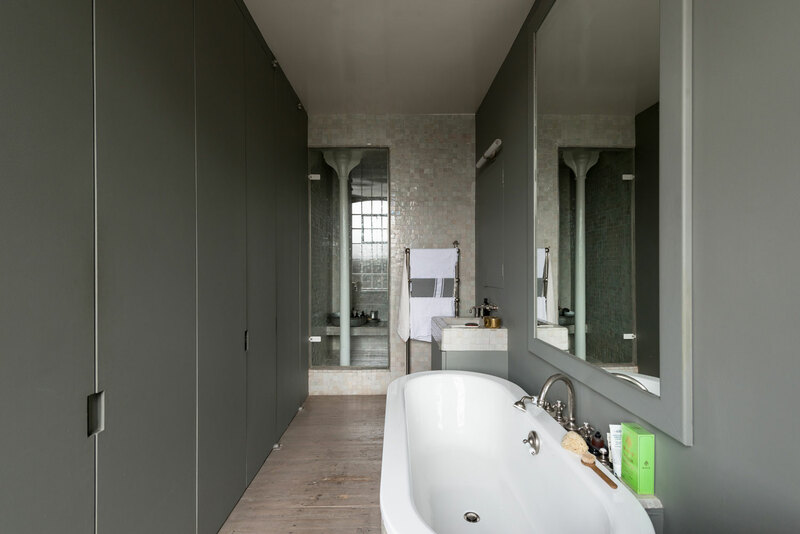 A surprising feature is the subtle Arabic influence throughout the home, seen in the handcrafted Moroccan sellige tiles, deep trough sinks and bathroom features including the traditional Hammam and steam room. With no solid walls, lighting plays an important role in zoning the large open space. Ceiling lights on dimmer switches are used to manage the different areas of the room, including or shutting off sections as desired. 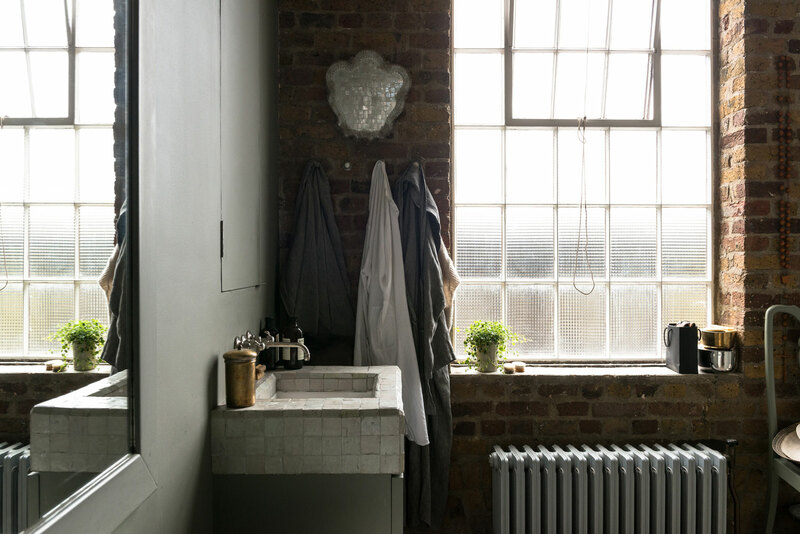 Original sash windows run the full length of the building, giving the apartment a triple aspect and bringing considerable natural light into the space. Unfortunately for all, this special home was snapped up within days of going on the market – hopefully we won’t have to wait another 15 years to peek inside the charming domestic world of Ms Crawford. Commune Design Transforms a 1960s Bank into The Durham Hotel in North Carolina.